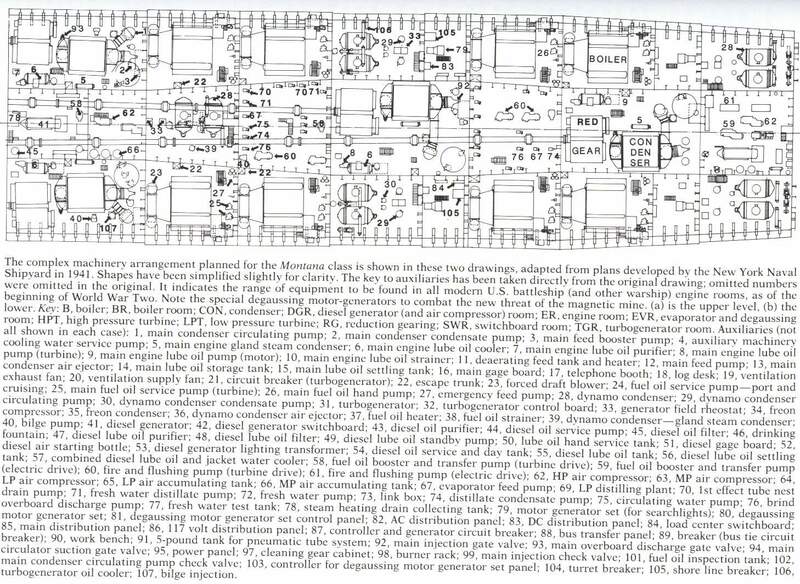 Operational and Building Data: From: DICTIONARY OF AMERICAN NAVAL FIGHTING SHIPS, Vol. Vol. 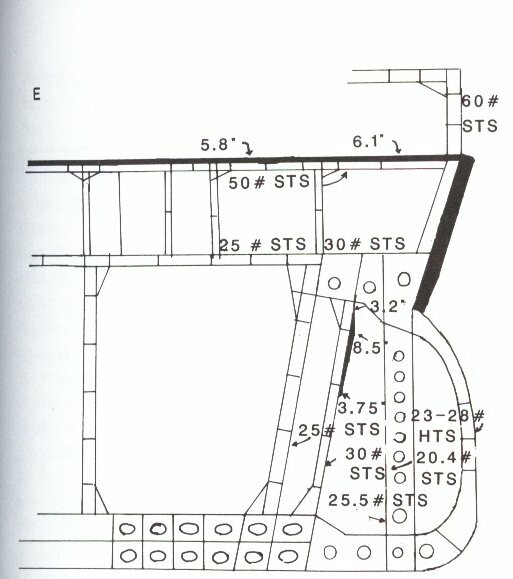 V, p. 57. 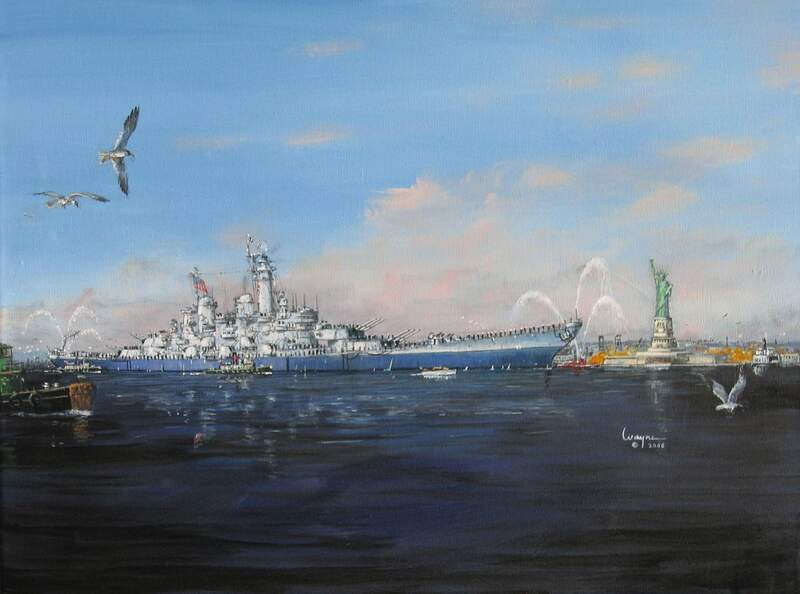 The name New Hampshire was assigned to (BB-70), a battleship to be built by New York Navy Yard, Brooklyn, N. Y., but it was canceled 21 July 1943. 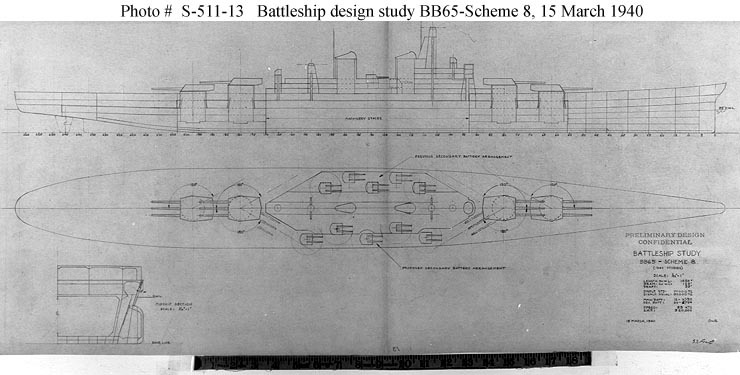 756k New Hampshire (BB-70) as designed. 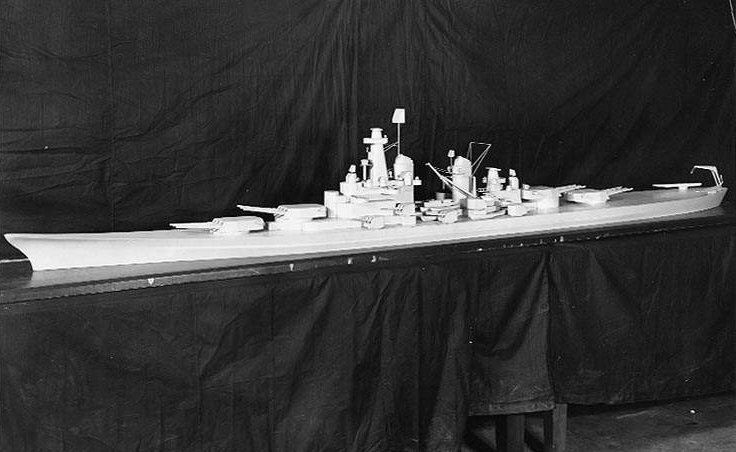 Line drawing by A.L. Raven. 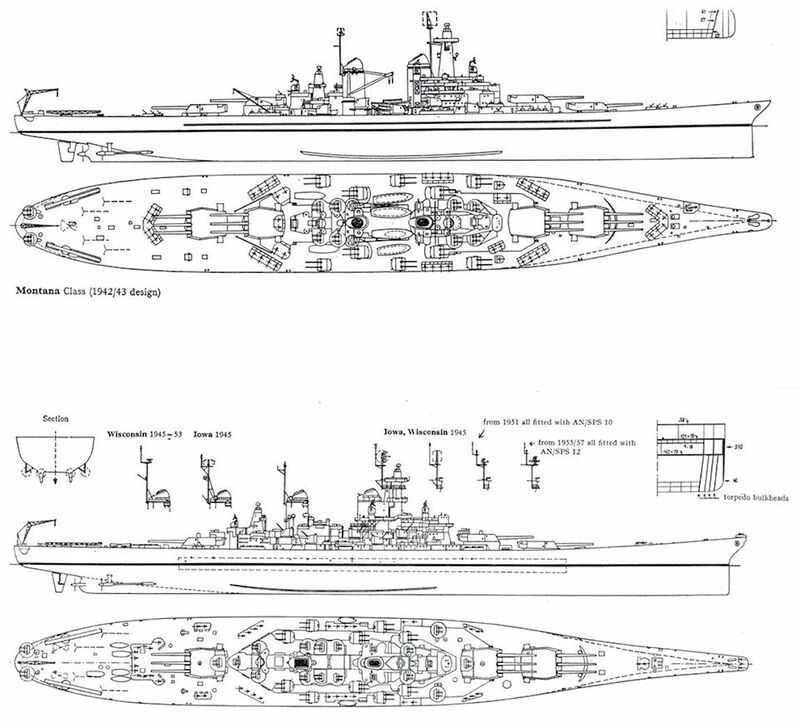 Text courtesy of U.S. Battleships: An Illustrated Design History by Norman Friedman. 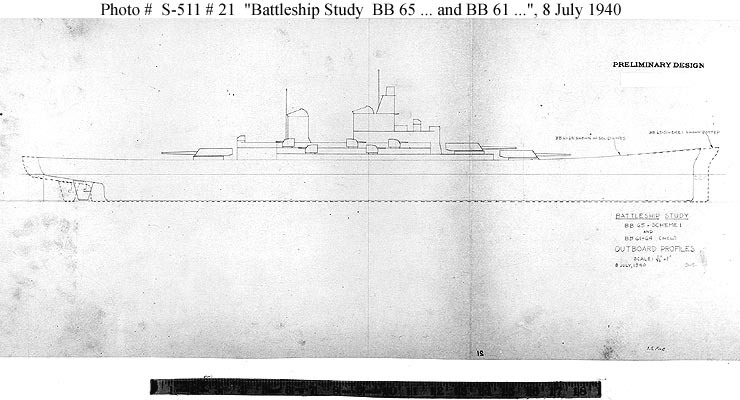 124k Machinery arrangement of the New Hampshire (BB-70) as designed. 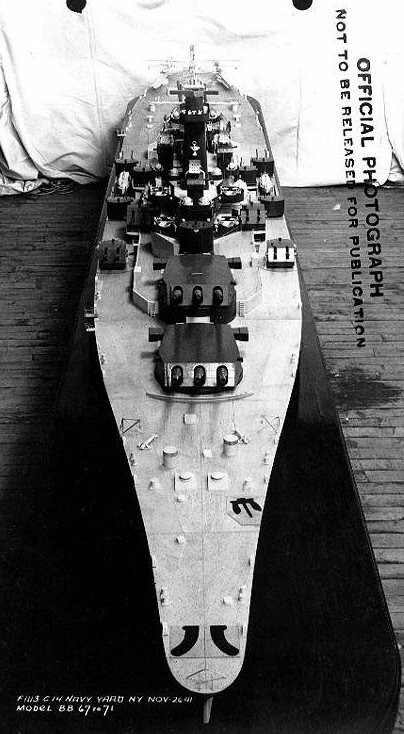 Photo and text courtesy of U.S. Battleships: An Illustrated Design History by Norman Friedman. 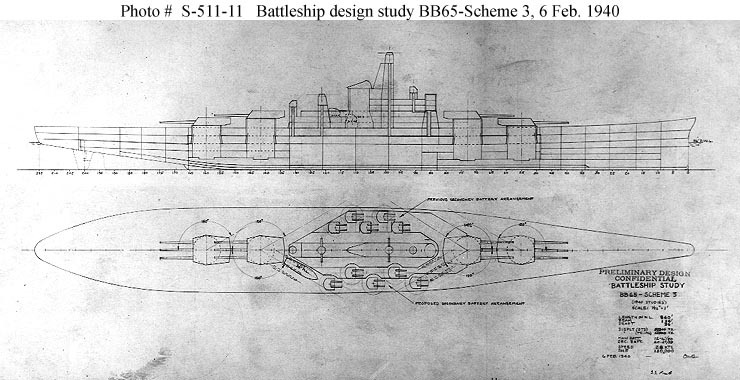 377k Machinery arrangement of the New Hampshire (BB-70) as designed. 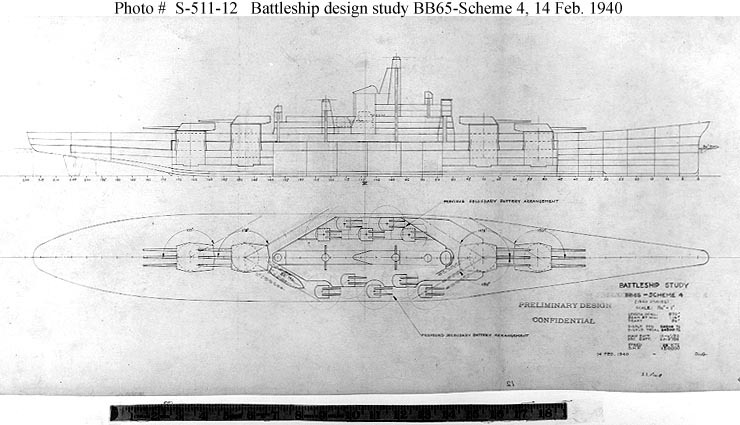 Photo and text courtesy of U.S. Battleships: An Illustrated Design History by Norman Friedman. 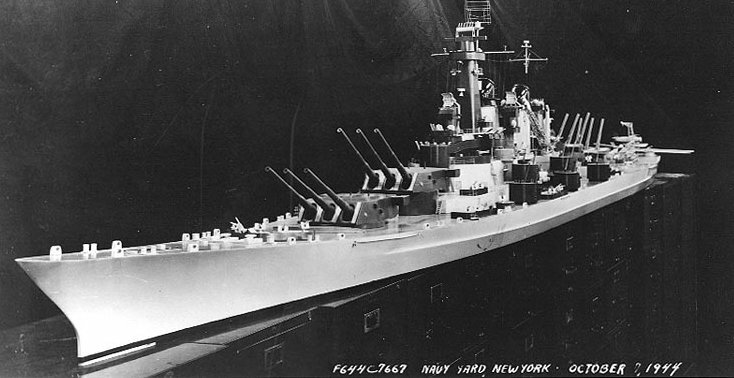 87k The New Hampshire (BB-70) would have been built here, at the New York Navy Yard, Brooklyn, New York. 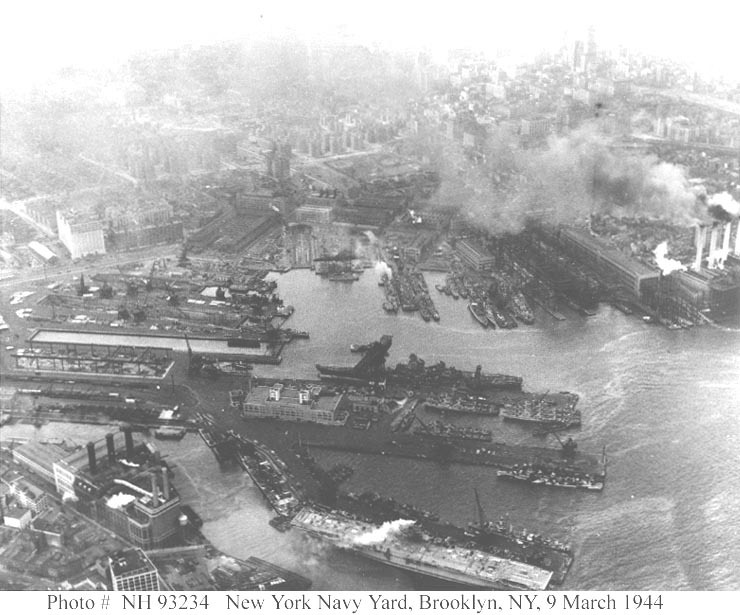 Aerial photograph, taken 9 March 1944. 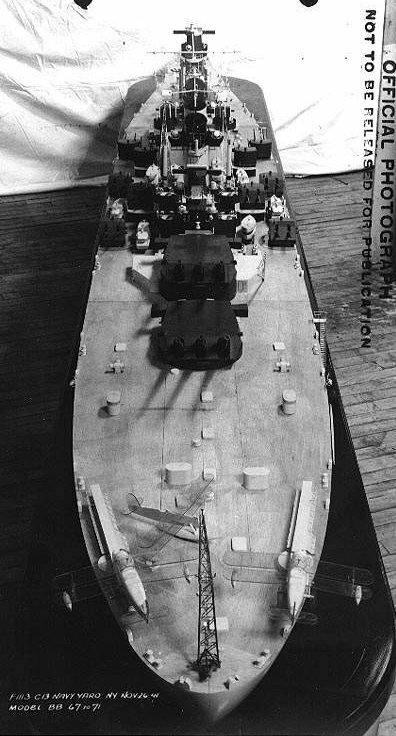 Missouri (BB-63) is fitting out in the center. 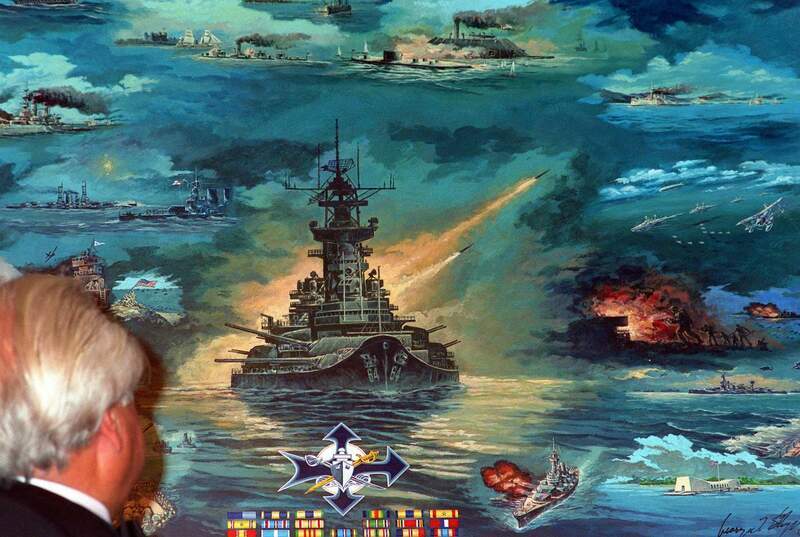 Carrier at the bottom is probably Bennington (CV-20). USNHC # NH 93234.